Looking to splash some cash? 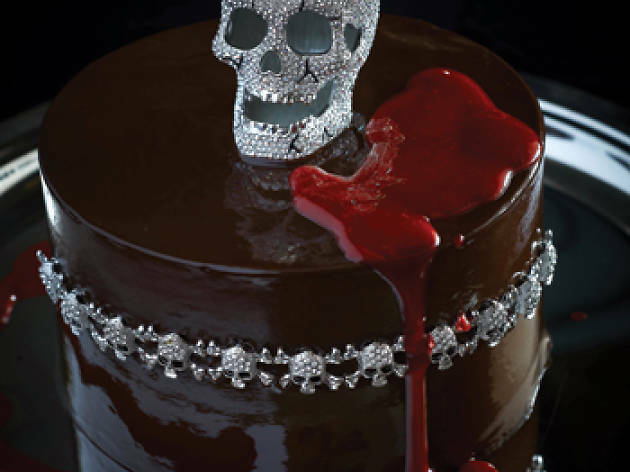 Taste the luxury of the finest ingredients in the world like wagyu beef, abalone, caviar, and Swarovski crystal encrusted skulls. 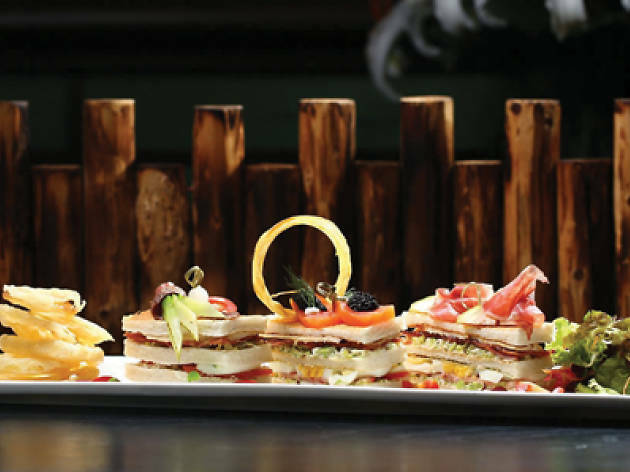 Ever tasted the world's most expensive club sandwich? No? Well, now you can – at Hullet House's The Parlour in Tsim Sha Tsui for $480. This expensive eat has even got a Guinness World Record to prove its worth. 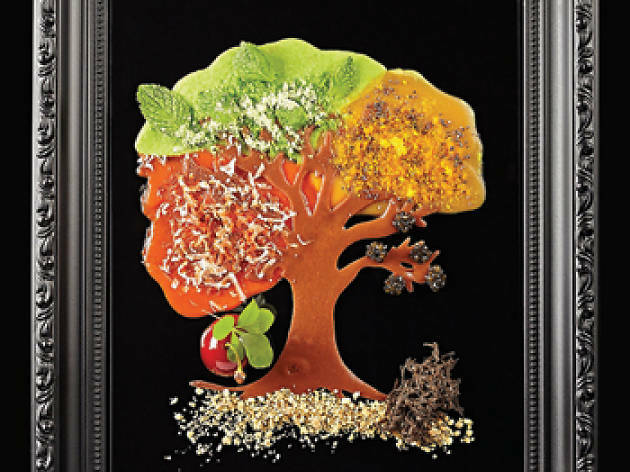 Included are expensive ingredients like Beluga caviar, A5 wagyu beef and Balik salmon. Get in quick, though – on August 31, this ace of clubs is off the menu. 2 Canton Rd, Tsim Sha Tsui; 3988 0000; hulletthouse.com. 39 Gough St, Central, 2815 8303; msbscakery.hk. Island Shangri-La's one-Michelin-starred Petrus hits our Top 10 with its Mieral Bresse roast chicken from France with thyme, black truffle butter and young carrots. Priced at $1,380, the chicken is sumptuous and the truffle flavour is sublime. It's parfait! Shangri-La Hotel, Supreme Court Rd, Admiralty; 2820 8590; shangri-la.com. It's unsurprising that the only three-Michelin-starred Chinese restaurant in the world – Lung King Heen – is in our list. Abalone is a delicacy and the bigger the abalone, the bigger the price. 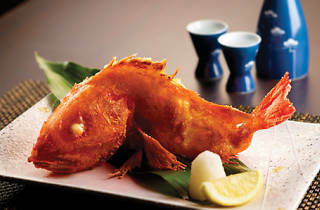 The Braised Whole Yoshihama Abalone in Supreme Oyster Sauce, when it comes for 16 heads, is priced at $7,000 per person. That's pricy abalone! 4/F, Four Seasons Hotel, 8 Finance St; 3196 8888; fourseasons.com. 2/F, 60 Johnston Rd, Wan Chai, 2850 8371; boinnovation.com. 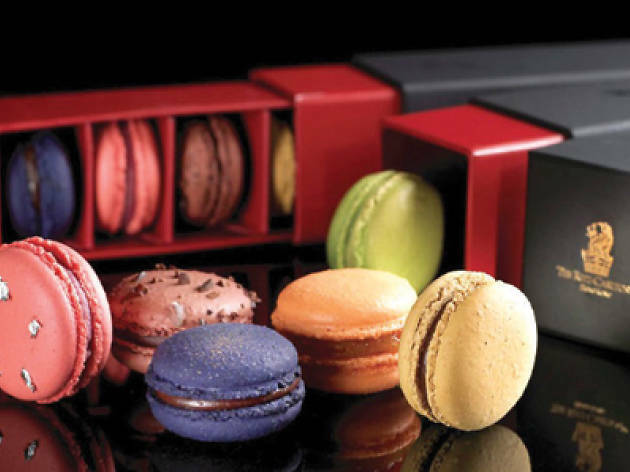 Despite the arrival of macaron houses Ladurée and Pierre Hermé over the past eight months, Ritz Carlton's Pastry Gems still holds the title of most expensive macarons in town. 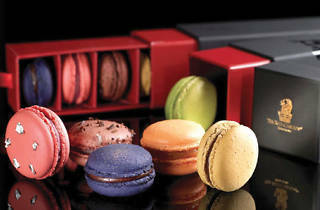 Coming in six flavours (including black truffle and mandarin peel) a box of four goes for $158 ($39.25 per macaron compared to Pierre Herme's $31). 9/F, The Ritz-Carlton, ICC,1 Austin Rd, West Kowloon,2263 2263;ritzcarlton.com. 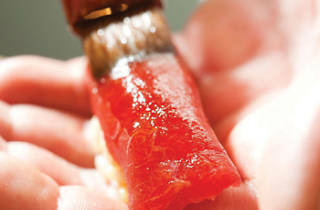 Inakaya brings exclusivity to a new level with its robatayaki kinki fish. Hand-caught from Hokkaido and flown in fresh daily, there are only 20 pieces available every night, so make sure you arrive early or book in advance. 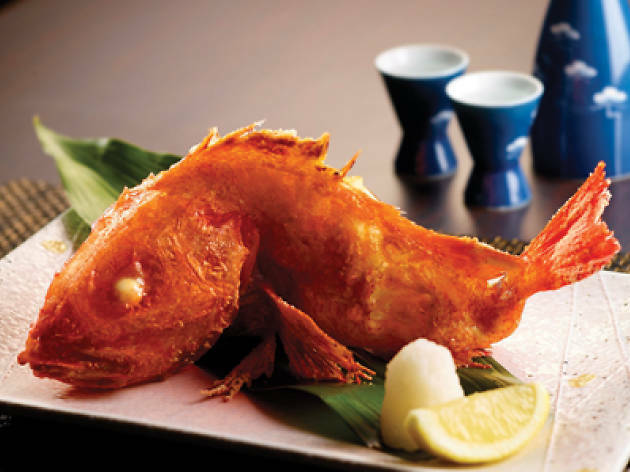 This small fish is grilled lightly with salt and costs between $1,100 and $1,300 depending on the market price. Inakaya, Shop A, 101/F, International Commerce Centre, 1 Austin Rd W, Tsim Sha Tsui; 2972 2666; jcgroup.hk. 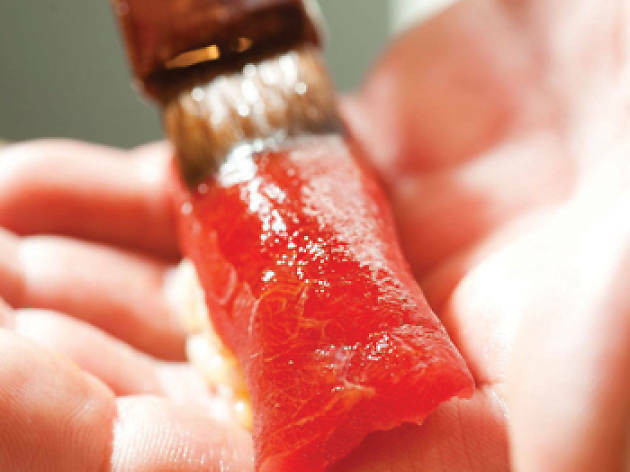 Sushi Yoshitake charges an insane amount of cash for its raw fish. 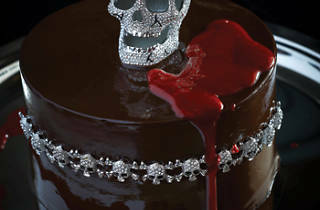 But it's also garnered many fans for its celebrated fare. With three Michelin stars under his belt, Chef Masahiro Yoshitake is considered one of the greatest sushi chefs in the world. So, for a cool $4,500, splash out on seven appetisers and 13 pieces of sushi in Yoshitake's most expensive set. 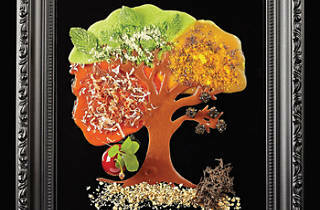 L/F, The Mercer, 29 Jervois St, Sheung Wan, 2643 6800; sushiyoshitake.com. So you need to spend some serious dough? Well, head to The Krug Room at the Mandarin Oriental then! At $2,888 a person, the 14-course tasting menu comes with two glasses of Krug champagne and a hell of a lot of kudos. Eat and drink like a king while watching the chefs work over the beautiful dishes in the open kitchen. Mandarin Oriental, 5 Connaught Rd W, 2825 4014; mandarinoriental.com. Ever spent a ridiculous amount on a juicy steak? Well, if you think you have, you're gravely mistaken. Try this for size: $1,550 for a six-ounce A5 Kumamoto filet mignon from the Grand Hyatt Steakhouse. Yes, we said six ounces. That's $258 an ounce. You really haven't lived! 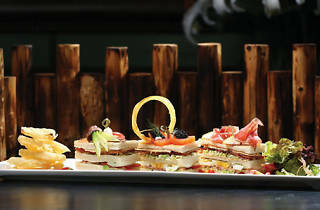 Grand Hyatt Steakhouse, 1 Harbour Rd, Wan Chai, 2588 1234;hongkong.grand.hyattrestaurants.com.